This is a special Collector's Edition release. As a bonus, Collector's Edition purchases counts toward three stamps on your Monthly Game Club Punch Card! 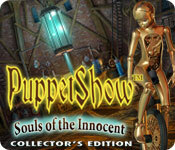 PuppetShow: Souls of the Innocent Collector's Edition is rated 4.3 out of 5 by 21. Rated 5 out of 5 by Boomer1097 from Excellent Game The game was so much fun to play. You play as a detective who is trying to help a mother revive her daughter who has won't wake up. The puppets, of course, are up to something again. The graphics are amazing and the cut scenes are well done. There are no voice overs, put the "dialogue" is easy to read. The iHOS are good (some objects are hard to find) and the mini games are fun. You do not have a journal or map, but you really don't need them. The inventory is held in a "Tools" area that fans out when you need it. The ending of the main game was satisfying and the bonus chapter left you hanging for the next chapter in Puppet Show. the bonus chapter is short. The other extras consist of music, wallpapers, screensavers and concept art. I really enjoyed this game and the Puppet Show series. I highly recommend this game. Rated 5 out of 5 by Kaytee_PC from Loved Puppet Show Souls of the Innocent I loved the game so much I went and purchased the others in the series. I only wish Big Fish would list the games in order or list them as 1st of 5 games, 2nd of 5 games, etc. Or, they could even list the copyright date of each one in the description to make it clearer. It was difficult reading the description of each game and trying to figure out the order in which they should be played. I tend to be a methodical player and like to play the games in order. Great series! ♥ them! I hope the people who created this make another series. 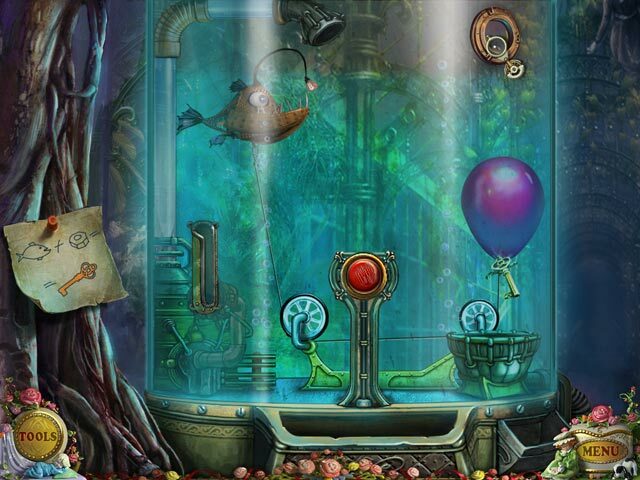 Rated 5 out of 5 by neilskinut from get them all The puppet show games are all worth buying. They are fun and not that hard to play. Good HOS and puzzles. Hint button works good if needed. Has good flow. 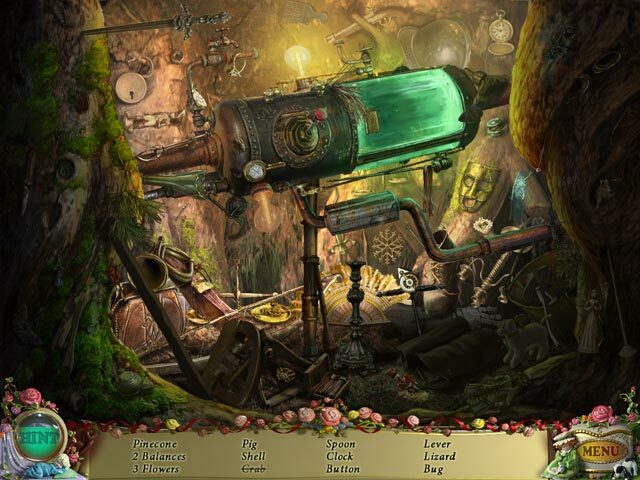 Great adventure game. 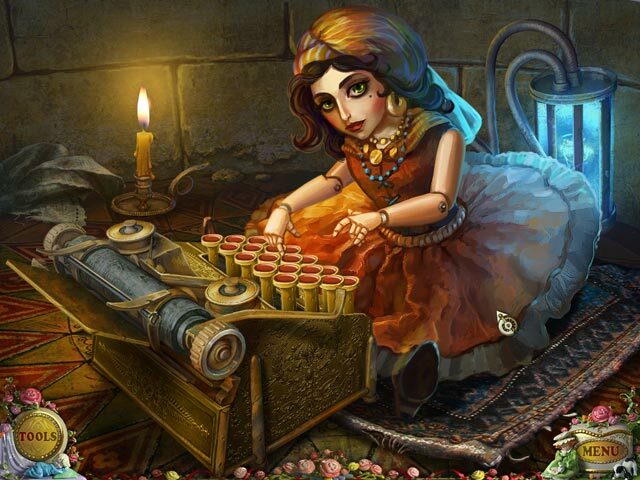 Rated 5 out of 5 by MRSNOOPY from Gripping Hidden Object Game! Really enjoyed the story line for this game. Wish it went on longer. Ready to do the sequel! Rated 5 out of 5 by barb190964 from BRAVO!!!. More please I own hundreds of Big Fish Games and this one is my favorite. Breathtaking graphics, great storyline and not too difficult. Have played it many times. Loved Joyville too. Please make more like this!!!! Rated 5 out of 5 by rheashard2 from Souls of the Innocent. A fun game. i loved it. The story line and graphics are good This game lived up to my expectains and made my decision to get the series easy. Rated 5 out of 5 by Xhrystal from Aaaah, they made another one! Well, of course I had to get the sequel to my favorite HOG! The sequel was great and I liked how it really opened up the locations and had so many completely different scenes and places. Introducing it in Collector's Edition was the best! I love the extra level and all those graphics and music; but I'm also a huge dork. Again, I really can't say enough about the stunning artwork in these games and the detail in the HOS. I found the puzzles a little easier in this one but finding and figuring out how objects worked harder, so an even trade. I just love these games!